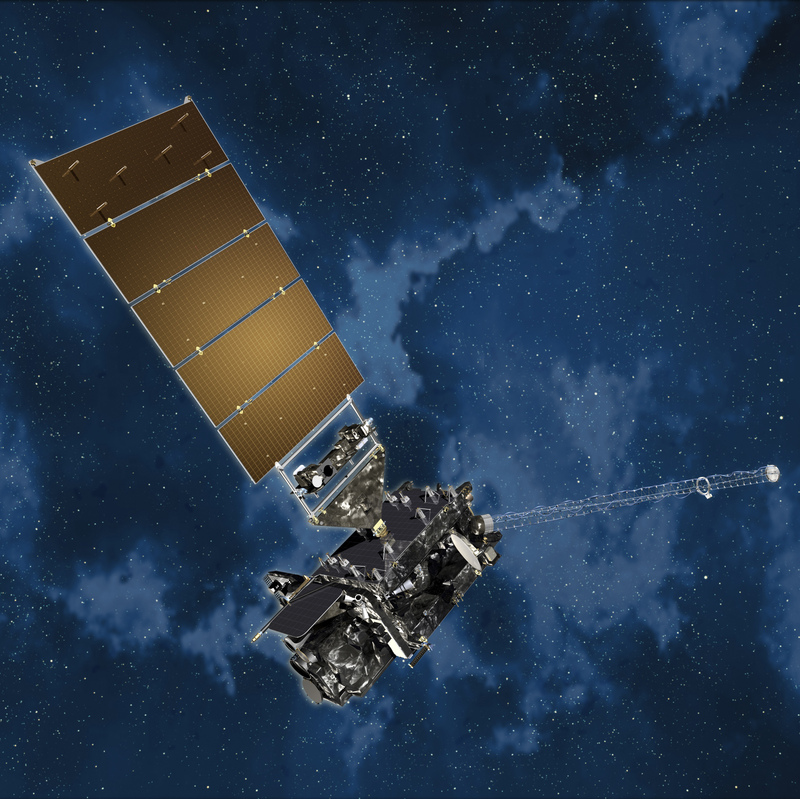 NOAA’s GOES-16 satellite is ready to embark on another major milestone— The GOES-16 Field Campaign. During a three month long event, a combination of NOAA and NASA planes, sensors and satellites will fine-tune GOES-16’s brand new instruments. Artist’s concept of GOES-16 (GOES-R) in orbit. NASA successfully launched NOAA’s GOES-R satellite at 6:42 p.m. EST on November 19, 2016 from Cape Canaveral Air Force Station in Florida and it was renamed GOES-16 when it achieved orbit. GOES-16 is now observing the planet from an equatorial view approximately 22,300 miles above the surface of the Earth. Since launch the GOES-R team, which consists of scientists and engineers from both NOAA and NASA has been working around the clock to power on the satellite’s advanced instruments and to get their data back to Earth. During this campaign, a team of instrument scientists, meteorologists, GOES-16 engineers, and specialized pilots will use an outfit of high-altitude planes, ground-based sensors, unmanned aircraft systems, the International Space Station, and the NOAA/NASA Suomi NPP polar-orbiting satellite to collect measurements across the United States. Ranging from arid deserts and areas of dense vegetation, to open oceans and storms exhibiting lightning activity, these measurements will cover nearly everything NOAA’s GOES satellites see. 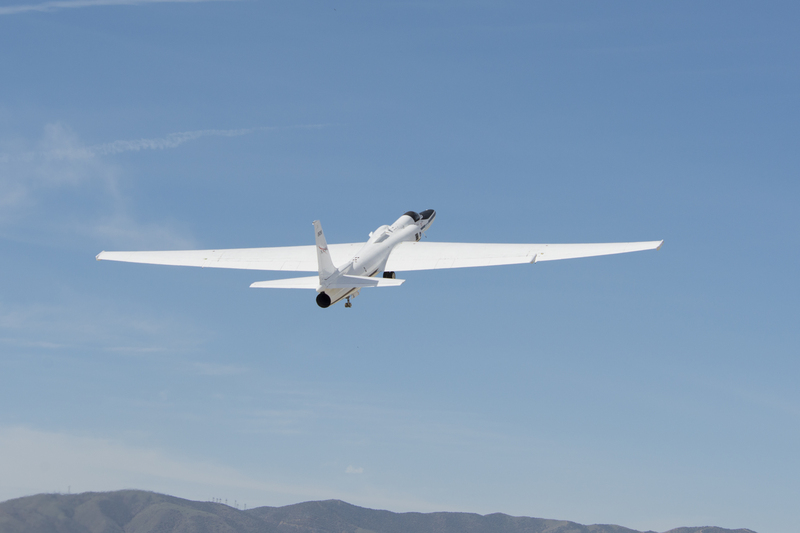 NASA’s ER-2 takes off from its base of operations at NASA’s Armstrong Flight Research Center Building 703 in Palmdale, California to test instruments that will support upcoming science flights for the Geostationary Operational Environmental Satellite-R-series. While these measurements are being taken on Earth, GOES-16’s operators will be obtaining similar measurements of the same locations using two of the satellite’s most revolutionary instruments—the Advanced Baseline Imager and the Geostationary Lightning Mapper. The two data sets will be analyzed and compared by meteorologists to validate and calibrate the sensors on the satellite. Data from NOAA’s GOES satellites are used 24 hours a day, seven days a week for everything from flight plan forecasting and air quality alerts to potentially life-saving severe storm and tornado warnings. They provide vital information to support storm tracking, seasonal predictions, drought outlooks, and space weather predictions. It’s NOAA’s mission to ensure that these data are as precise, accurate, and readily available as possible. Because of this, GOES-16’s data are going through an exhaustive testing phase, being checked and re-checked using measurements from a vast range of verified sources before it is put into operational use. All of the GOES-16 Field Campaign information will be permanently stored as reference data at NOAA’s National Centers for Environmental Information. This is the first NOAA satellite-focused field campaign since GOES-8 launched in April 1994. In many cases, the satellite’s predecessor is used to ensure that the new satellite is taking accurate measurements. When NOAA launched the Jason-3 ocean altimetry satellite, it orbited directly behind Jason-2 for several weeks in order to verify and fine-tune its instruments. The instruments aboard GOES-16, however, are brand new and more advanced than any GOES satellite before it. So, scientists will use instruments mounted on NASA’s ER-2 high-altitude aircraft, as well as various other instruments closer to Earth and one on the International Space Station, to validate what the GOES-16 satellite is seeing and fine-tune its instruments. The GOES-16 Field Campaign officially begins on March 22, 2017 and concludes on May 19, 2017. Throughout the campaign, progress updates, news stories, interviews, and more will be available at www.nesdis.noaa.gov and on NOAA’s Twitter, Facebook, and Instagram accounts.